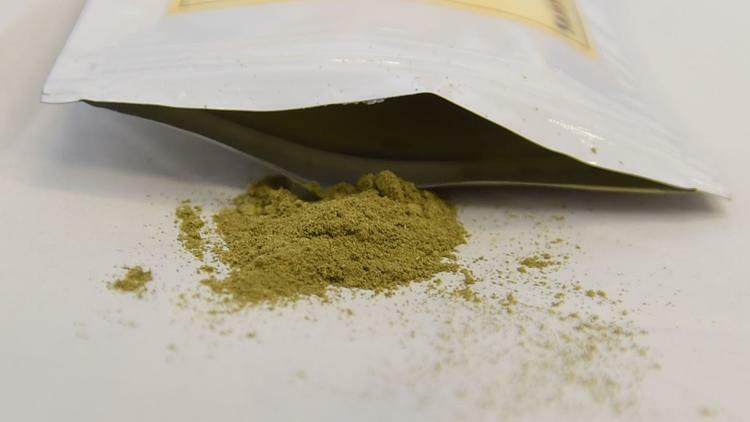 The US Food and Drug Administration (FDA) has issued yet another warning regarding the Southeast Asian plant medicine kratom. Kratom has been safely used for hundreds of years throughout areas such as Indonesia. Over the past decade the herb has become more popular in the US and worldwide and as a result, the FDA has been working to smear the plant with warnings that some scientists like former head of the National Institute of Drug Abuse (NIDA) Dr. Jack Henningfield of Johns Hopkins University referred to as "junk science." Some of the most recent scare news regarding kratom revolved around another claimed death due to kratom. What was not mentioned in the original news, however, was that the decedent, though he did have kratom in his system according to toxicology screens, <a href="https://woodradio.iheart.com/content/2018-08-22-autopsy-released-in-5th-death-tied-to-kratom/">took fentanyl, cocaine and benzodiazepine nerve pills</a> before dying. Forbes called into question the FDA claim of kratom being the cause of a salmonella outbreak recently as well. Despite the body of medical professionals and scientific researchers who try to call the FDA and media to task for the disinformation campaign, sensational stories about the danger of the plant, itself a member of the coffee family, continue to spread. The most recent complaints from the FDA are the fact that it is being used recreationally as well as to treat a wide range of health issues. Considering the fact that scientists have proposed that kratom could possibly be a safer and healthier alternative treatment for everything from PTSD, anxiety, depression, chronic pain, fibromyalgia and addiction to commonly used medicines, it shouldn't be that surprising that people who are getting better results with fewer side effects would make the shift. They made sure to point out how kratom is "unregulated." Like it's cousin coffee, it is legal. Unlike coffee, there is no conclusive evidence that any constituents found in it have led to death by overdose. In fact, to date, no laboratory animals have died even in tests where researchers were intending to induce dangerous respiratory depression. Another item pointed out here is how countries like Australia and Thailand have made it illegal. Apparently, they haven't read into the history of how the Thai government suppressed kratom because it was cutting into the illicit opium trade. As for Australia, even the popular South Pacific shrub kava is illegal down under. <a href="https://www.ncbi.nlm.nih.gov/pubmed/26695707">Kava was also illegal in Germany until a study debunked</a> the liver toxicity claims ruled it as a case of "misguided regulatory politics. "</a> Kava, like kratom, was victim of a disinformation campaign regarding the dangers of liver toxicity. Since then, most of the claims have been debunked and, like kratom, no deaths have been conclusively connected directly to the plants. I will actually agree with the FDA on the next point, however. There are certainly some "unscrupulous" vendors making illegal claims. In the US even if the science shows that vitamin C improves immunity, the minute you market an orange saying "you'll get sick less" by US law you're effectively making oranges a "drug." I know, it's ridiculous, but that's how the FDA really works. As a result, even pointing out things that have been suggested by multiple research trials makes marketing kratom as a "cure" of any sort illegal. Ironically, Scott Gottlieb, who was <a href="https://www.markey.senate.gov/news/press-releases/senators-question-fda-nominee-scott-gottliebs-financial-relationship-with-fentanyl-manufacturer-cephalon">involved in lobbying the government on behalf of the makers of Fentany</a>l so they could market the drug to more people and produce more of it, claims that kratom is a "dangerous opioid." If by "opioid" he means something that exerts opioid binding then we'd better also make St. John's Wort, dairy products, caffeine and strenuous exercise illegal as they also cause opioid binding. Ironic that it's called "dangerous" despite the fact that caffeine is responsible for dozens of deaths each year and is considered safe even for children. “In support of the public health, we continue to urge consumers not to consume kratom and to seek appropriate medical care from their health care provider. We will also continue to take action against those who put the safety of Americans at risk and who violate federal law by making unsubstantiated health claims about products that they seek to sell,” Gottlieb’s statement said. I'm still waiting on the "I'm sorry for unleashing more fentanyl on the world just before the opioid crisis heated up" tweet from Gottlieb, the current FDA Commissioner and former board member for several pharma companies, but I suppose that's a bit to hope for.